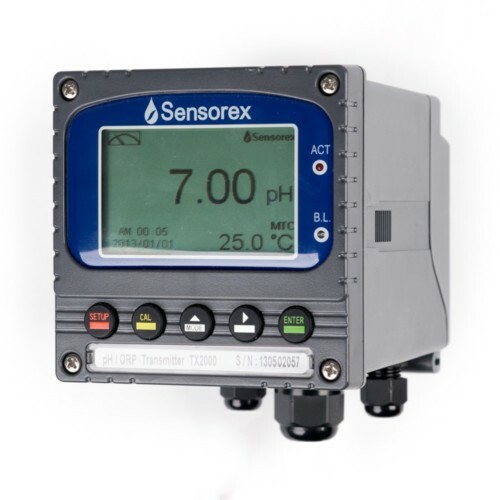 Our TX2000 is an intelligent transmitter/controller for reading pH and ORP sensors and programmable process control. 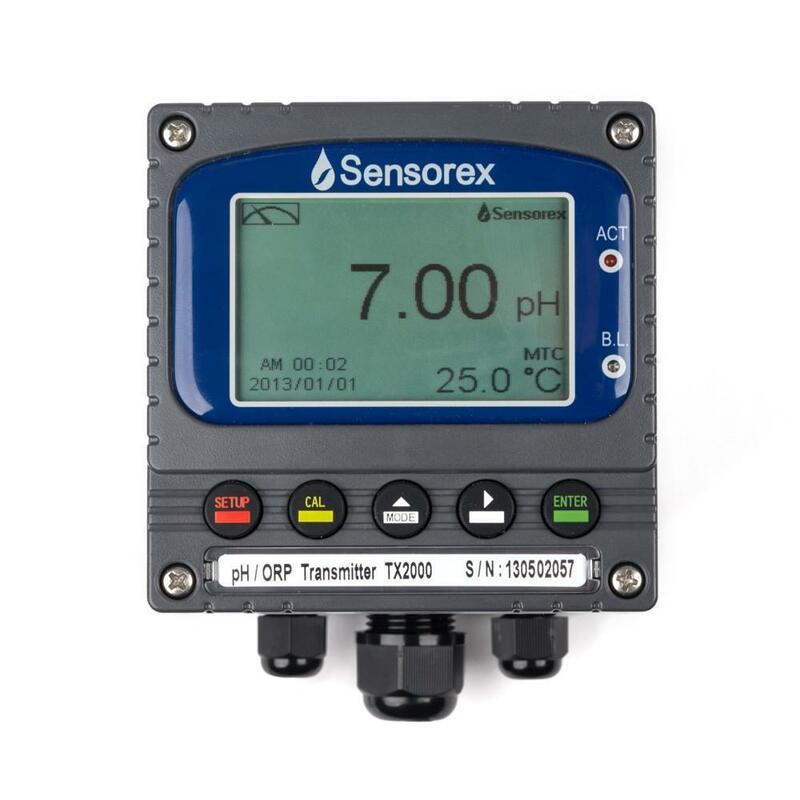 The large LCD display shows pH/ORP value simultaneously with temperature. 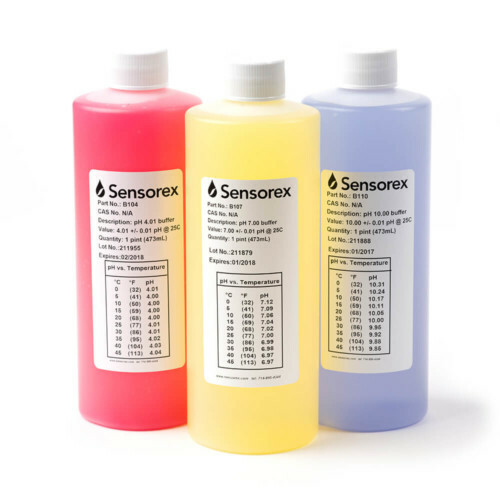 Compatible with all Sensorex combination-style pH and ORP sensors. Versatile mounting options for panel or wall mounting. Our TX2000 is an intelligent pH and ORP transmitter/controller for reading pH and ORP sensors and programmable process controls. The large LCD screen displays the pH/ORP value simultaneously with the temperature. 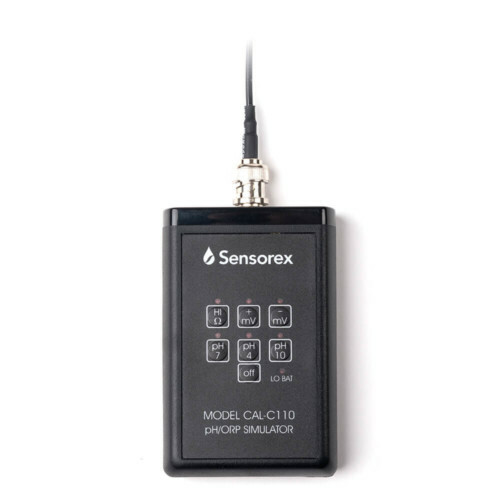 This transmitter is compatible with all Sensorex combination-style pH and ORP sensors. Versatile mounting options for panel or wall mounting. Analog Output 1: 0/4 -20mA, corresponding to pH or ORP output. Max load 500 Ω.